In a move that could threaten duck-billed playpuses and other wildlife, the New South Wales government has given the green light to a bow fishing trial in an effort to control carp numbers. "Ecologists Dr Tom Grant from the University of NSW and Professor David Goldney from Charles Sturt University have expressed concerns about the difficulty in distinguishing carp from wildlife or native fish species, especially in turbid waters...Dr Grant is concerned that wildlife such as the platypus, the native water rat, the water dragon, turtles and diving birds could be mistaken for carp." Bow fishing isn't always humane, either. Animals that are shot may escape the hunter only to bleed to death later. Worse, experts fear that hunters/fishers may not report accidental platypus kills, making it difficult to evaluate the true threat bow fishing may pose to non-carp species. 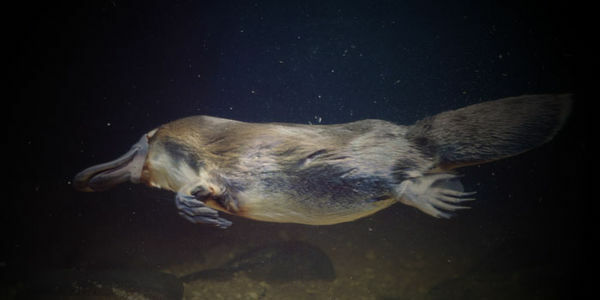 The duck-billed platypus is one of the most unique creatures on the planet, and we can not risk its future. Please sign this global petition now and help protect these special animals and other native wildlife threatened by bow fishing. As someone who is concerned about protecting Australia's unique native wildlife, I strongly urge you to do everything in your power to stop the summer bow fishing test in New South Wales. Specifically, I am concerned that, as officials work to reduce capr numbers through bow fishing, native wildlife like the platypus may become collateral damage in the murky waters where bow fishing will take place. Hunters/fishers also may not report accidental kills, making it difficult to evaluate the true threat bow fishing may pose to non-carp species like the platypus.